BestDrive Commercial Tire Centers is quickly becoming the top choice among commercial trucking fleets for our high quality products and exceptional service. Without our people, we would not have this competitive advantage. That’s why we recruit the best people and provide training and opportunity for advancement. Since our founding in 2010, we have opened 25 locations throughout the United States and continue to rapidly expand our footprint from coast to coast. The opportunities for advancement and training are endless. 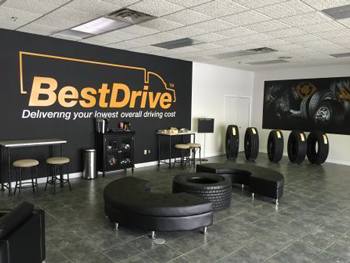 Learn more about the benefits and opportunities of working with BestDrive below. At BestDrive, we are pleased to provide benefits that are high in value and affordable for employees and their families. Your benefits should be just that-yours. Flexibility of choice to meet individual needs has always been the foundation of our program. 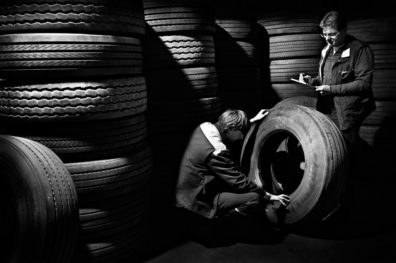 The Commercial Sales Representative is the main contact for sales and service in a thriving Commercial Tire Dealership. The Commercial Sales Representative is in charge of sales for area fleets as well as promoting new tires, retreads and tire services. Daily solicitation of existing store accounts, as well as calling on prospective new accounts are essential to building a profitable book of business. Actively seeking new accounts and represent the company to potential customers. Developing and maintaining a thorough knowledge of products and services to provide accurate information to customers. Meeting established sales and gross profit goals. Preparing weekly sales plans and completing all call reports following established company procedures. Service Technician must be able to properly dismount, mount, balance, and repair Commercial Vehicle and Medium Truck tires for the purpose of adding value to customers and providing additional revenue to BestDrive. TIA certification is required. Care of Continental property such as service trucks and service equipment is required. To search for all BestDrive employment opportunities, click the button below then type “BestDrive” in the Keyword, Job-ID box, then select jobs button to the right. For additional information about BestDrive, including employee reviews, please visit our Glassdoor page.